Monotones is a construct of psychological boredom that people feel often in their lives, nobody like to remain in monotones except the toddlers researches on child psychology proved that toddlers loves consistency and order. But with the passage of time it is noted that his world start changing and the growing toddler start loving it. The question arise there why kids love change? At age three, there’s a burst of language development that is a key to remembering things and identifying the changes around him. Your growing toddler remembers the flower you plucked last week and can identify that now it’s droopy. Concepts, like object permanence, time, and cause and effect are all working together to help him make sense of the changing surrounding. Feed his fascination in order to support his growing development by making new connections with objects and him. Float into the “why” For example, explains the little logic according to the “why” why water get hot on a burner, as heat turn it into boiling water. Choose unique ideas to facilitate his cognitive development. – Why kids love change, toddlers like and want to be in the same situations and events, but with the passage of time growth process needs to accept and follow the paths of change. 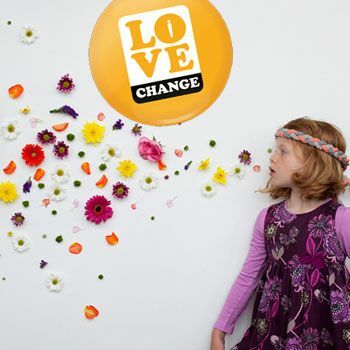 – Why kids love change, kids love change as through this, they gain cognitive maturity. – Why kids love change, kids love change through this their creativity gets mature that is a focal point of higher order thinking process. Look at pictures of different types of animals of different ages and ask him what changes he sees in pictures. Give your kids the verbal prompts to trigger your kid’s intelligence. Let your child squeeze chocolate syrup bottle into a glass of milk and stir it for a tasty demo of how mixing colors make a new drink. It’s not necessary to play only with chocolate syrup and milk. There is a variety of other drink recipes that you can give charge to your kids to make them. With the help of your kids,mark where shadows are cast in the morning, then check back later weather the shifting sun makes them pop up somewhere else from the original point, where they were in the morning. Plant different kind of seeds with your little adult. As the plant grows, he will soon observe that the growing plant would help him in observing the change happen. This process will make your kids to be aware about the natural growing process. It would be very beneficial to give charge to your little adult, in order to organize little activities for the peers in your own supervision. This will give the sense of responsibility and awareness about many concrete aspects of learning. Disturb the routine of your growing kids, such kinds of change enhance the kid’s ability to stay calms with the changes. Acceptance of the novelty facilitates the kid’s ability to cope with unhappy surroundings. It is necessary for growing kids to bring different, but interesting changes in his environment where he lives. Usually the parents or caregivers make choices for kids; it will be more worthy to let your kid to make little choices. This will be a great change for your kid. Explain the little goods and bad about of any two objects and let him make his own choice.